Hardcover, 8.75 x 10.75 in. / 56 pgs / 26 color. 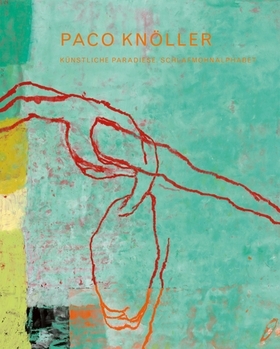 The abstract paintings of German artist Paco Knöller (born 1950) are characterized by their dynamic interplay of turquoise, greenish yellow, lilac and violet. Since 2005, the artist has been concentrating on a group of smaller painted wood panels. In these works, color and gougings unite to create works of bundled energy. FORMAT: Hbk, 8.75 x 10.75 in. / 56 pgs / 26 color.